Wait. What? How did this get in here?! And the yarn is Knit Picks Palette! We’re SO excited to welcome Sunny into our family! She’s our first puppy/dog and we love her SO much! Here we are enjoying a perfectly cozy rainy day together! This is a photo of the old sample, modeled by Annelies van Dam Barger. We discovered during the test knitting that the edges roll badly (due to the stockinette nature of the knitted fabric) when other yarns are used. 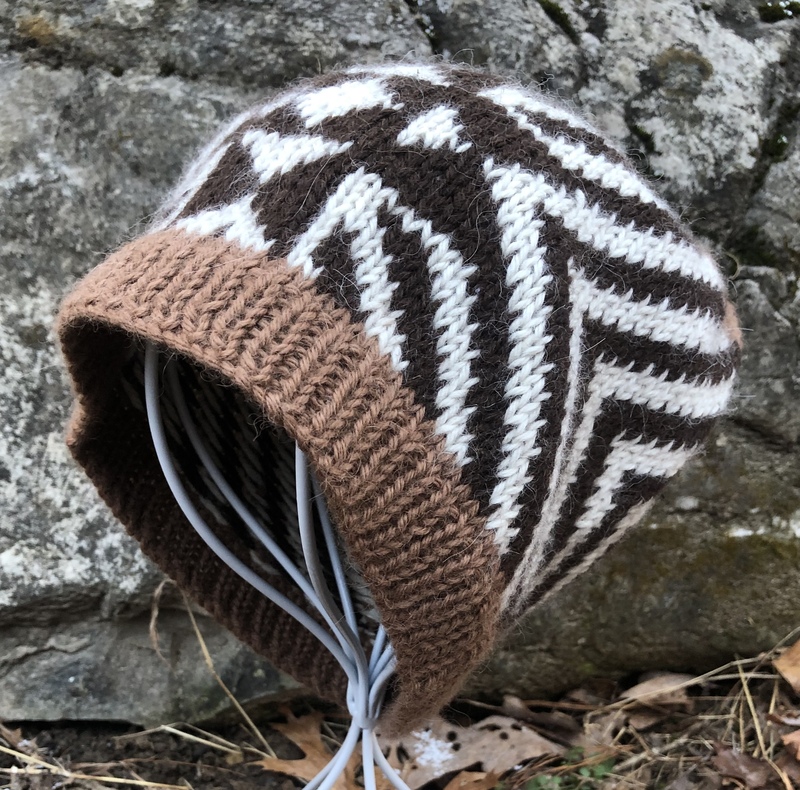 I really want knitters to be able to successfully use yarn from their stashes to knit this if they want, without fear of excessively rolling edges. So I modified the pattern to include a ribbed edging on both top and bottom. 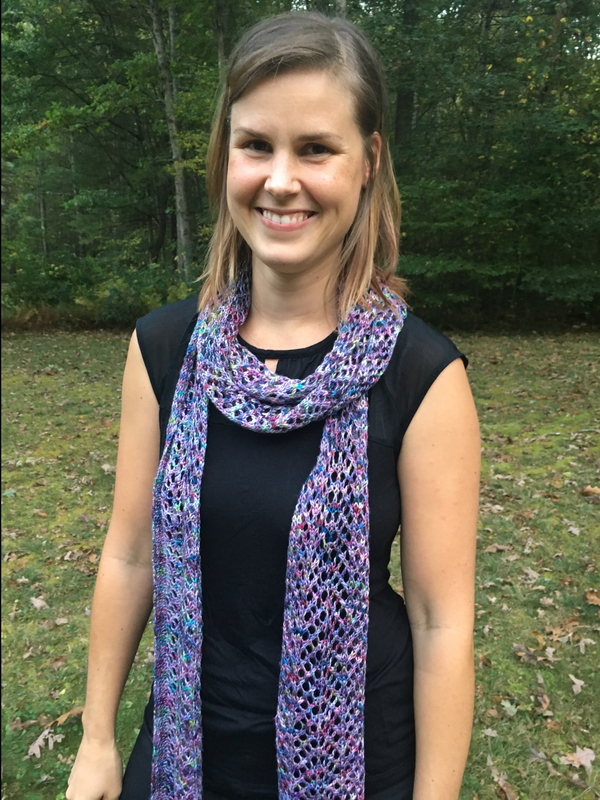 Several different edging options were considered, including seed stitch and garter stitch; but I chose to go with the ribbing because it seems to do the job while preserving the flow of the stitch pattern on the body of the scarf!